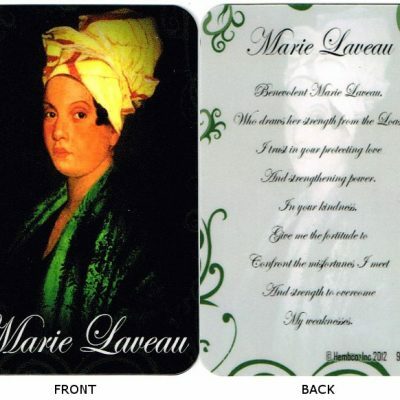 Marie Laveau prayer cards, perfect for altars, gifts, and to carry with you for encouragement. 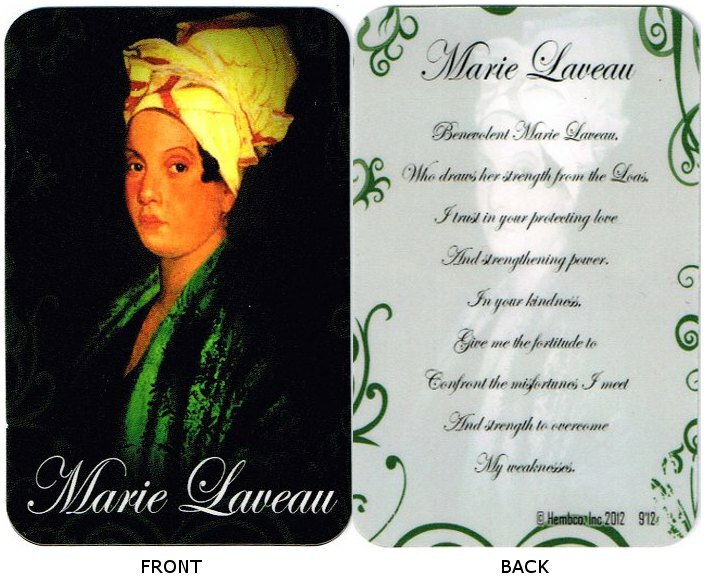 Back of the card reads : "Benevolent Marie Laveau, Who draws her strength from the Loas, I trust in your protecting love, And strengthening power, In your kindness, Give me the fortitude to confront the misfortunes I meet, And strength to overcome my weaknesses." Each card is 2.25" x 3.5"